Here is the list of the hotels near Estrebay. Book your hotel near Estrebay today, Sunday 12 May for the best price, reservation and cancellation free of charge thanks to our partner Booking.com, leader in on-line hotels reservation. Below here is the list the 50 closest hotels of Estrebay, sortable according your criteria. You will find the position of these accommodations on the Estrebay hotels map. Set in the small village of Girondelle, in the Thiérache Ardennaise valley, this guest house was built in a typical Ardennes-region-style. It has a garden with an outdoor terrace. The non-smoking rooms can accommodate up to 4 persons and all have a shower. They feature wood beams and stone walls. Free Wi-Fi access is available there and in the entire guest house. L'Hirondelle provides daily breakfast and dinner, prepared with local products. These products can be bought on site. Other activities include cross-country walking, horse and carriage rides and massage, available with prior reservation. The Hirondelle guest house is also a farm that guests are invited to visit. It is 12 km from the Belgium border and just 2 km from the Thiérache fortified churches trail. Free private parking is possible on site. Apartment Liart Preferred hotel ! Guest accommodation Hannappes Preferred hotel ! Boasting a sauna, Chalet du Lièvre is set in Hannappes. This chalet has a garden. Comprising of 2 bedrooms and 1 bathroom, this chalet has a flat-screen TV. The kitchen is equipped with a dishwasher, an oven and a microwave, as well as coffee machine. Staff are always available to help at the reception. The chalet offers a barbecue. A terrace is available on site and hiking can be enjoyed within close proximity of Chalet du Lièvre. Charleville-Mézières is 44 km from the accommodation, while Chimay is 43 km away. This hotel is just 20 km from Charleville-Mézières and 15 km from 7 Fontaines Golf Club. It offers free Wi-Fi access and an on-site restaurant, which serves French cuisine. An LCD TV with satellite channels is provided in all of the rooms at Le Val de Vence. Each one has a carpeted floor and also features and an en suite bathroom, complete with free toiletries. A continental breakfast can be served every morning to the comfort of guest rooms. You can also choose to enjoy breakfast buffet-style in the hotel’s dining room or on the terrace. A playground, newspapers and free private parking area also offered at this hotel. The A34 motorway is ideally located just a 15-minute drive from the property. 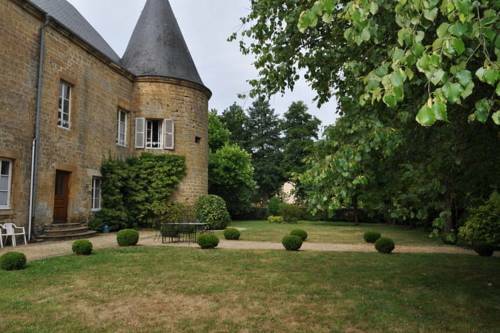 Featuring accommodation with a terrace, Roulotte " Au rythme d'Arduinna" is situated in Touligny. The property features garden views. A continental breakfast is available every morning at the country house. Roulotte " Au rythme d'Arduinna" offers a barbecue. Guests can also relax in the garden. Charleville-Mézières is 16 km from the accommodation, while Sedan is 31 km away. This Premiere Classe hotel is located in the heart of the Ardennes region, a 10-minute drive from Charleville-Mezieres Train Station. It offers accommodation with free Wi-Fi internet access. The guest rooms feature en suite facilities, a work area and cable TV. There are also single rooms with disabled access. Premiere Classe Charleville Mezieres provides a daily buffet breakfast. The hotel is a 3-minute drive from exit 9 of the A34 motorway and the Belgian border is 20 km away. Free private parking is available on site. A 24-hour ATM is available at the property. This hotel proposes comfortable and affordable accommodation in a friendly atmosphere just a 30-minute drive from the Belgian border in Charleville Mézières. Guest rooms at Campanile Charleville-Mezières are cosy and have functional living spaces. They are equipped with modern en suite facilities, cable TV and free Wi-Fi internet access. Enjoy savoury, traditional and regional cuisine in the hotels restaurant, which is open every day. The lunch is served from 12:00 to 14:00, and the dinner from 19:00 to 22:00. Or, start your day with a full buffet breakfast served every morning from 06:30 to 9:00 during the week, and from 07:00 to 10:00 on week-ends. Below here is the hotels map of Estrebay. Names and details of Estrebay hotels can be shown on the map clicking on the prices icons.